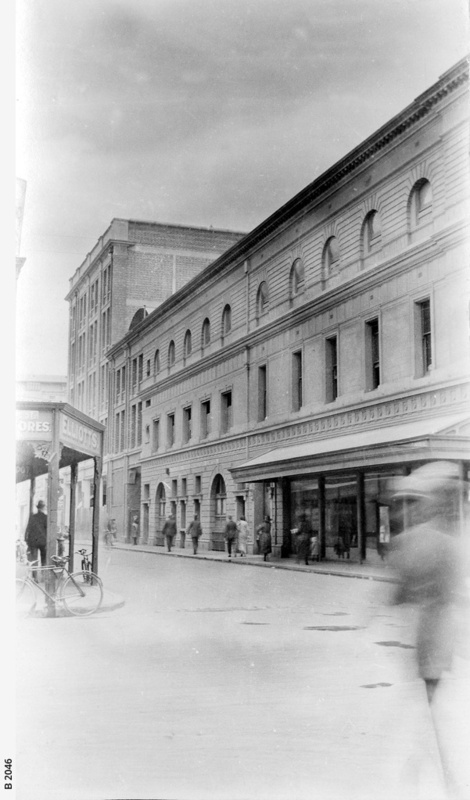 Gawler Place, Adelaide, west side, from Pirie Street, taken on January 11th, 1924. On the right is Macrow's, and in the distance, is Simpson's five storey building. For a closer view of Simpson's, see B 1206. For a drawing of a building formerly on part of the Simpson's site, see B 1206. On the left is the verandah of Elliott's Cycle Shop.